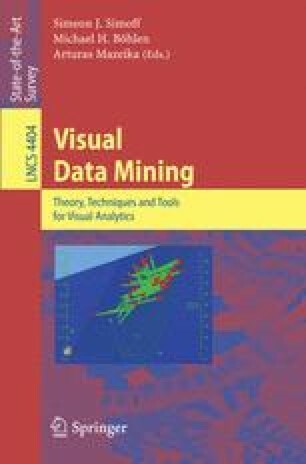 This chapter presents VHHH: a visual data mining tool to compute and investigate hierarchical heavy hitters (HHHs) for two-dimensional data. VHHH computes the HHHs for a two-dimensional categorical dataset and a given threshold, and visualizes the HHHs in the three dimensional space. The chapter evaluates VHHH on synthetic and real world data, provides an interpretation alphabet, and identifies common visualization patterns of HHHs.